Israeli bulldozers demolished five Palestinian-owned commercial buildings in the Haris village, west of the northern occupied West Bank district of Salfit today. Local resident, Muhammad Suleiman, told Ma’an that Israeli bulldozers demolished five commercial buildings, a laundry place, carpentry workshop, blacksmith workshop, aluminium workshop and greenhouses, under the pretext that the structure was built in “Area C” without the near impossible to obtain Israeli permit. Suleiman confirmed that the demolished buildings belonged to his three brothers, Fadi, Nadi and Salah. Nearly all Palestinian applications for building permits in “Area C” are denied by the Israeli authorities, forcing communities to build illegally. Area C, along with East Jerusalem, has been the site of rapid Israeli settlement expansions in contravention of international law, while Israel’s Separation Wall has further divided Palestinian communities and restricted Palestinians in the West Bank and Gaza from even visiting what was intended to be their capital. The Israeli government has allocated 700 million shekels ($187 million) in support of Israeli Jewish settlers in the illegal settlements near the Gaza Strip, local media reported yesterday. The Times of Israel reported Israeli Prime Minister Benjamin Netanyahu saying that this allocation was meant for economic programmes that “strengthen the resilience” of the settlers. “The resilience of the residents of the Gaza area [settlers] is an important component of national strength,” Netanyahu said at the weekly cabinet meeting, according to the Times of Israel. Knesset speaker Yuli Edelstein declared on Sunday that Israel should annex the occupied West Bank, speaking to the annual conference of Beit El settlement yeshiva in Manhattan. According to a report by Arutz Sheva, Edelstein claimed that the Likud-led Israeli coalition government has done “so much for the Land of Israel”. “The Knesset has already passed important laws to strengthen our safeguards against terrorism, uphold our national dignity, and defend us from our enemies—whether they threaten us with missiles or with boycotts,” Edelstein said. Edelstein continued: “But there is still much more to do. Above all, we need to extend Israeli sovereignty to Judea and Samaria [the West Bank]”. 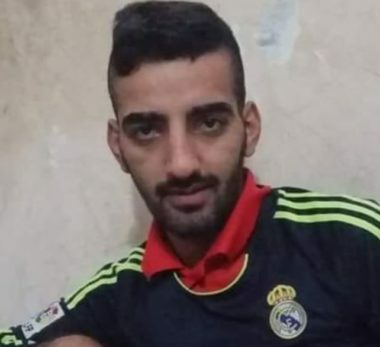 A Palestinian military court in Gaza has sentenced six Palestinians to death for spying for Israel, Minister of Interior in Gaza spokesman Iyad Al-Bozom said yesterday. The court also sentenced eight other defendants to prison for various periods in addition to hard labour, Al-Bozom added. “The verdicts are a clear message to spies of the [Israeli] occupation,” Al-Bozom said. Five of the collaborators are to be hanged while the sixth will be shot in the head. He noted that the one sentenced to be shot in the head is accused of collaborating with a “hostile foreign entity”. 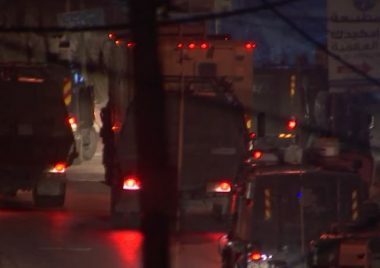 “The security services achieved several successes that narrowed the net around Israel’s collaborators and dissolved a number of their security chains,” Al-Bozom said. He stressed that the security services had undermined many of planned Israeli operations which would have taken place against Palestinians in Gaza. In the whirlwind of war mistakes and incidents are expected. When the war is carried out of a civilian population, the mistakes may harm the lives of civilians, as unfortunately happened in our case. Abuelaish’s daughters – 13-year-old Bessan, 15-year-old Mayar and 20-year-old Aya – as well as his 14-year-old niece Noor, were among 1,390 Palestinians killed by Israeli forces during Israel’s 22-day war, dubbed “Operation Cast Lead”. Israeli human rights organisation B’Tselem estimates that more than half of those killed were civilians. I will never accept my daughters as just numbers – it is wrong to call them collateral damage. They are human beings. They have faces. They have names. Abuelaish explained that, before pursuing a court case, he had tried for many years to get the Israeli government to take responsibility for the death of his daughters. Having worked as an infertility specialist at Tel Hashomer hospital outside Tel Aviv, he tried to use his connections in Israel to achieve recognition of Israel’s guilt, but to no avail. “My efforts fell on deaf ears so I was obliged to pursue this through the courts,” he added. Yesterday’s decision will come as a severe blow to his hopes of receiving any recognition of Israel’s culpability for his daughters’ deaths. It is not yet clear where Abuelaish will proceed from here or whether he will be able to appeal the court’s ruling. Abuelaish had intended to donate any compensation granted by the Israeli court to the Daughters for Life Foundation, a charity he founded in honour of his daughters which supports the education of girls from the Middle East, including both Israelis and Palestinians and all religious denominations. Democratic Representative-elect Rashida Tlaib plans to lead a delegation of American lawmakers to the West Bank, the congresswoman-to-be has told The Intercept. The Intercept said Tlaib was “rejecting [the] Israel lobby’s influence over Congress” echoing and that her plan was a “rebuke of a decades-old tradition for newly elected members: a junket to Israel sponsored by the education arm” of AIPAC. Tlaib told The Intercept that she personally supports the movement to boycott Israel. She has previously called on the United States to cut military aid to the country. 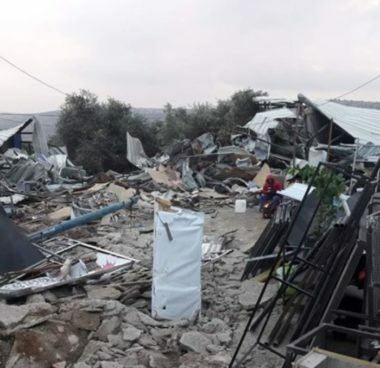 Israeli soldiers invaded, on Tuesday morning, the western area of Hares village, west of the central West Bank city of Salfit, and demolished five agricultural and commercial structures. Resident Mohammad Suleiman said dozens of soldiers invaded the village at dawn, before using their armored military bulldozers in demolishing the five commercial structures, owned by his brothers. He added that the demolished structures are owned by his brothers Fadi, Nadi and Saleh Suleiman, and that the army claimed they were built without a permit from the Israeli Civil Administration Office, as they are located in Area C, under full Israeli control, in the occupied West Bank. The demolished structures were an agricultural hothouse, a laundromat, a carpentry, a blacksmith and aluminum workshops. Mohammad added that Israel issued the demolition orders just a week ago, informing his brothers that they “have one month to file appeals,” however, the soldiers demolished the properties within seven days.